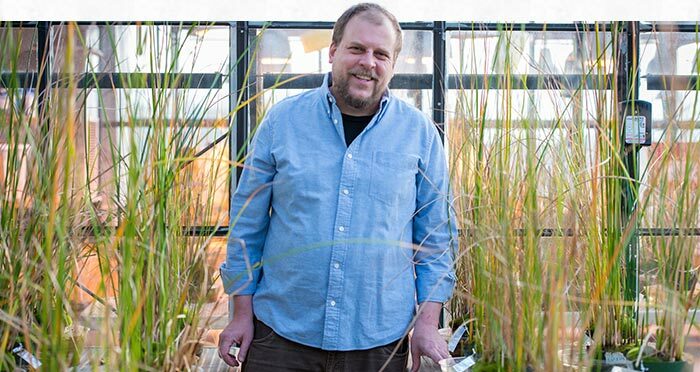 A chance meeting a decade ago in a graduate school hallway led paleoecologist Jason McLachlan to create a Jurassic Park-like wonder in Notre Dame’s greenhouse, where rows of salt marsh bulrushes have germinated from 100-year-old seeds. McLachlan said he and a colleague were trying to figure out where they could find some dirt that contained ancient DNA, genetic traces of once-living things found in sediment samples. They ran into a friend studying changing levels of salinity in the salt marshes that run along the East Coast from New Jersey to South Carolina. The friend said he’d noticed that, occasionally, seeds in century-old sediment germinated spontaneously. He didn’t think much of it. But the discussion sparked a light bulb moment: Why worry about ancient DNA when you can get seeds that bring the past to life so you can study a living organism? A decade later, McLachlan and his team grow these century-old bulrushes to learn how the East Coast may respond to storms as the climate continues to change. The plants in these tidal marshes perform a key role in protecting the coast from storm erosion, so how they evolve can have a profound effect on everything from wave strength to where to build a beach home. 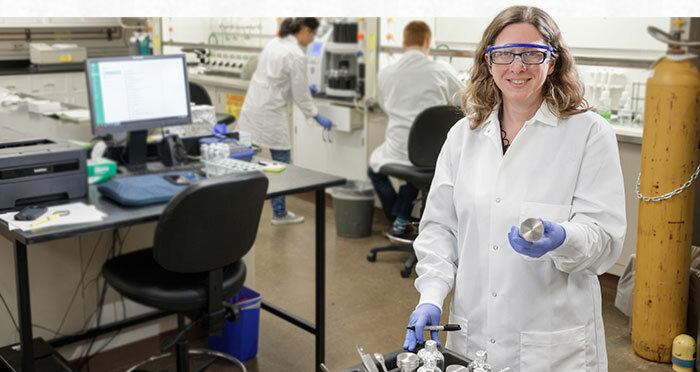 Across the world and on a vastly different time scale — about 7 million years — Notre Dame organic geochemist Melissa Berke joined an international team of scientists taking mud samples from below the Indian Ocean earlier this year. 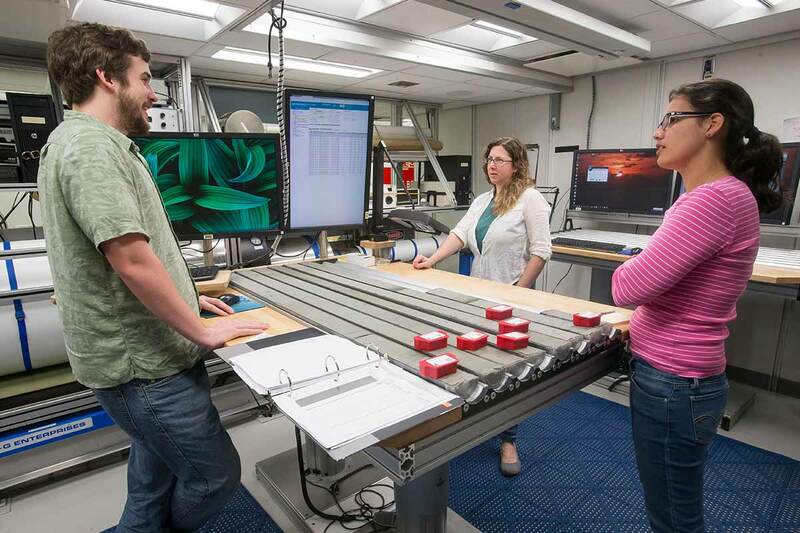 She studies changes in how ocean currents have affected global weather patterns since the earliest days of the human species. Predictions for future climate change are only as good as the historical data that goes into the scientific models. Both McLachlan and Berke are gathering data and performing analysis that aims to improve those forecast models. Both dig into the earth to find organic evidence of climate change; both study the past to understand and predict the climate future. Berke, the Clare Boothe Luce Assistant Professor in the Department of Civil & Environmental Engineering & Earth Sciences affiliated with Notre Dame’s Environmental Change Initiative (ECI), and a graduate student took a two-month trip aboard a research ship run by the International Ocean Discovery Program. The trip last January started from Mauritius in the Indian Ocean and went down the east coast of Africa and around the southern tip of the continent to Cape Town. This route follows the powerful Agulhas Current, which carries large volumes of warm water along the Mozambique Channel. Most of the water circles back into the Indian Ocean, but significant eddies spin off and drift into the Atlantic Ocean as unusually warm pockets of water. 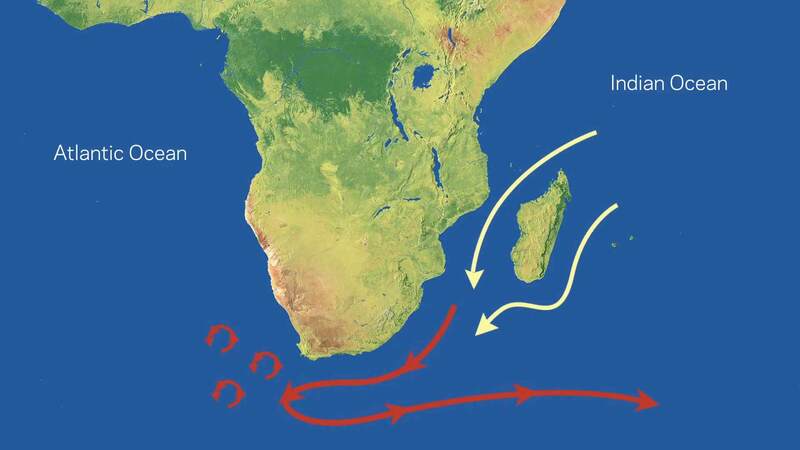 The Agulhas Current and eddies affect ocean activity ranging from surface temperatures to wind, impacting weather patterns from Africa all the way to the Americas — similar to the way North America experiences the influence of El Niño from the Pacific. While weather is short term, Berke is most interested in long-term patterns of weather known as climate change. The longer time scales allow her to study major patterns as well as extreme disturbances such as an ice age to see how living things recovered or changed after those events. How Berke achieves these goals is where the project gets more technical. Working 12-hour shifts on the ship, about three dozen scientists took core samples from targeted spots under the ocean. The ship has drilling equipment that can force a hollow tube deep into the ocean floor and pull up mud cores hundreds of feet long. The tubes are wrapped in plastic and cut into slices for study. From various locations, the group collected a total of six kilometers of ocean floor mud that represented seven million years of time — in locations and of a scale that Berke called unprecedented. Her role on board was to identify dangerous pockets of gas to avoid while drilling and to perform initial chemical analysis, while her graduate student worked as a sedimentologist writing detailed descriptions of each sample. 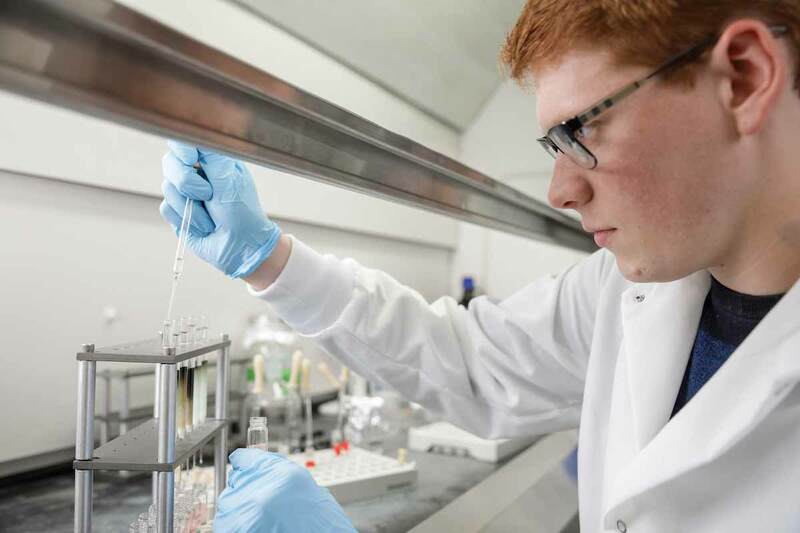 A graduate student, Keith O’Connor, in Berke’s lab extracts organic material from mud samples taken from the Indian Ocean floor during her two-month expedition along the African coast last year. Back in the lab, where the official samples finally arrived in November, Berke and her students perform a series of separations to extract the organic material, the components of former life. From these markers, which derive from ocean life like algae or bits of trees from land, Berke can draw conclusions about temperature, precipitation and other conditions on both land and ocean for a sample depth that correlates to a specific time period. The project is a four-year commitment that began on ship and will continue through the publishing of data and papers. The first step is to determine how past conditions and changes influenced the climate. Then data from the past can improve the models for predicting the future. McLachlan, an associate professor in the Department of Biological Sciences also affiliated with ECI, studies plant populations to understand environmental and biological change. He is intrigued by how different species respond to climate changes such as rising sea levels, higher temperatures and increased carbon dioxide. Forecast models for coastal resilience to storms take into account the importance of the salt marshes. These beds of grasses and sedges, submerged in high tide and muddy in low tides, dissipate the pounding waves, trap carbon dioxide in the mud, and anchor the soil to keep it from washing away. But McLachlan says the models don’t account for evolutionary change in the plants. Using some internal funding and fellowship grants, McLachlan and his students dug up sediment samples about a foot deep in the marshes. They sifted through the mud to find potentially viable seeds. Only about 2 percent of the bulrush seeds could be brought to life. “Once you get one of these ancient seeds to germinate, it’s like a precious thing from the past, so we really baby them along and help them grow,” McLachlan says. The first thing the team discovered is that the plants from a century ago were physically different from modern bulrushes — characteristics like stem width, height, color and density. Then they began to study what difference these changes make in how they perform their role protecting the coasts. Early tests have concluded the plants’ evolutionary changes have an impact, but McLachlan is seeking funding from the National Science Foundation to determine whether the new plants perform better or worse at coastal protection and what should be done about it. Update the forecast models, first, but the next step may be managing the plant population in the marshes. One of the key characteristics of the bulrushes is that they can be cloned. The plants put out thick roots from which another stem will grow. Because it’s the same plant with the same genotype, scientists can perform a series of experiments with these replicas as a control group. For instance, they can compare how the new and old plants differ in response to changes in carbon dioxide, salinity or heat. 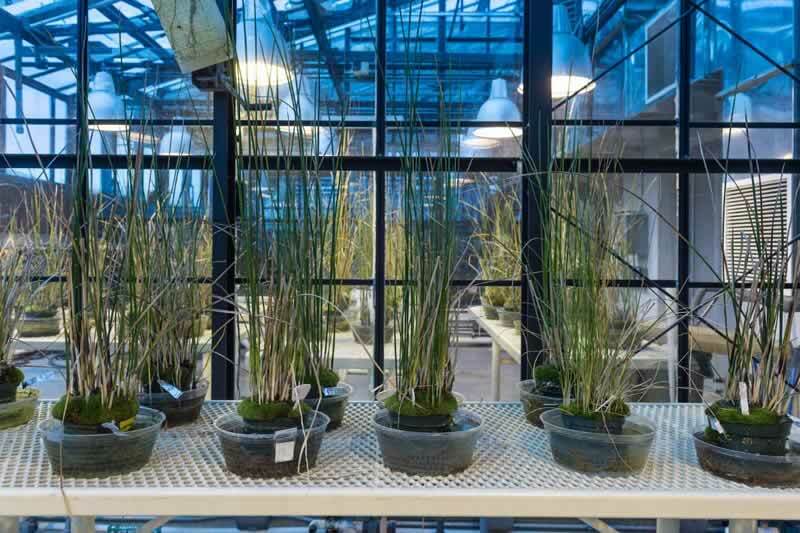 Jason McLachlan's collection of modern and 100-year-old bulrush plants grow in the greenhouse of Galvin Life Science Center. 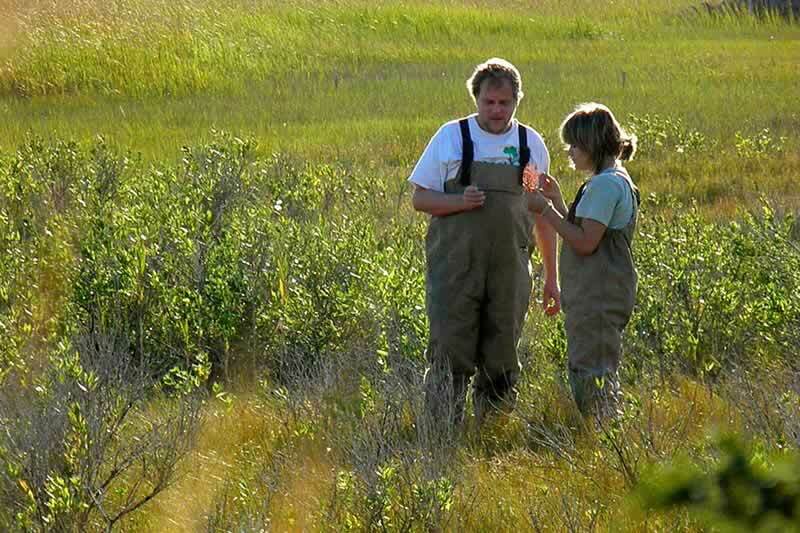 McLachlan and former student Rachel Koch collect core samples in a salt marsh in Maryland along the Chesapeake Bay, where they study how plants can affect storm erosion and climate change. In fact, the opportunities are so ripe that about 250 undergraduates studying biology carry out hands-on experiments with the plants in their first-year lab classes. The arrangement illustrates how cutting-edge research can contribute directly to better instruction in the classroom. The students come up with their own questions and conduct their own month-long experiments that incorporate elements of genetics, evolution, ecology and global change biology. Their data is part of the proposal used to apply for further funding.